The East of Scotland 4mm Group acts as the Area Group for east central Scotland, with most of our membership drawn from Edinburgh, the Lothians and Fife. We arrange a regular programme of talks, demonstrations and visits to places of interest. Our meetings are normally held in Dechmont Village Hall, near Livingston. 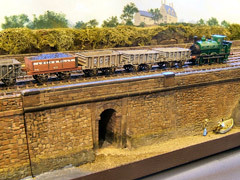 This is also the place where we work on our layout 'Burntisland 1883'. 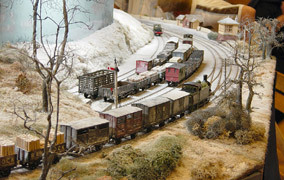 We also meet informally in one another's houses for work sessions on parts of the layout and to help members with their own endeavours. 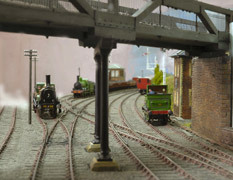 Members layouts include ‘ Dubbieside’, ‘Blackston Junction’, ‘Barnton’ and ‘Garrigill’. 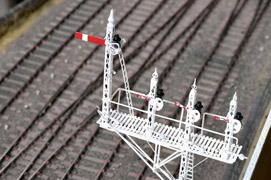 These happen to be to P4 standards, but our group includes not just P4 modellers and other 4mm adherents, but also notable 7mm and S-scale modellers. Our common interests are finescale work, self improvement and good company. 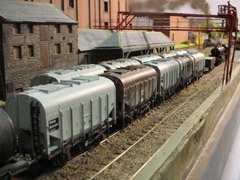 Bruce Murray is the Area Group Organizer and Secretary and is available on 01337 857371 or e-mail at: eastscotland@scalefour.org. 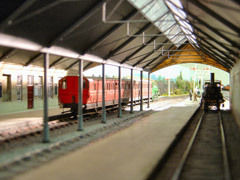 Our section on the Scalefour Forum.